Buyers do not see your home the same way you do. They are very discriminating about its condition, the neighborhood and the price. An average buyer will view between 15-20, ranking yours among all the that they have viewed. 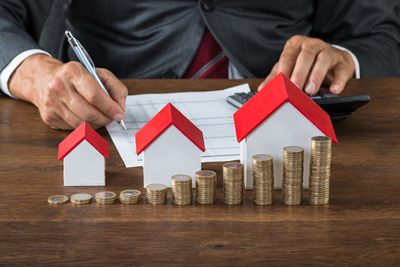 With this in mind, here are some measures you can take to ensure your home presents well to a potential buyer and garners help you to achieve the best price in the shortest amount of time. Knowing the reasons for your move determines everything from setting the price to allocating funds for repairs and improvements. Is the price you obtain more important than how long your home is on the market? Do you need to sell immediately? Each why requires a different strategy. At the same time, you do not need to reveal your why to anyone. Something negative might be used as a bargaining tool at the negotiating table. If someone wants to know why you are selling, politely respond that your housing needs have changed. Establishing an offering price is an investment in your future. Find out what similar homes in your neighbourhood have sold for in the 6-12 months. Also check out the prices of homes currently listed. The price you ask should be within the range of similar homes in the neighbourhood. If it is too high or too low, buyers will question the reasons for this discrepancy. Your home could stay on the market longer than you would like. You may also have to adjust the price and wind up getting less than you hoped. A Real Estate Professional is your best bet. This person has the educational background, the industry and community connections to work in your best interests. First impressions are absolutely critical. The look, the feel and the care of your home promote an emotional response. Even before they walk in your door, prospective buyers will try to imagine themselves living in your home. Just like a new outfit, buyers want to see if this home will "fit" their lifestyle. Clean everything until it sparkles. Pick up, organize, throwaway, scrub, scour, dust and disinfect. Be sure to complete all minor repairs. Buyers are especially keen on work that may need to be completed. it is in your best interests to disclose everything you know about the property. Failure to disclose could result in costly delays, litigation or even cancellation of the sale transaction. Most importantly, if a buyer knows about an item, he or she has no future recourse. Be sure you understand all terms, costs and responsibilities. It may be harder to sell a vacant home. Furniture, drapes and all the assortment of daily activities go a long way to create the warmth and comfort of a home. To some buyers, an unoccupied home could be seen as forlorn, forgotten and not as appealing. You might have to reduce your price, depending upon the buyer. At the same time, you are sending the message that you have found a new home, and you likely need to sell fast. When buyers view your home, gently remove yourself and allow buyers to feel at home. By pointing out features, improvements and decorating items, that are meaningful to you, or you have spent money on, you could be seen as adding pressure to the sale. Best to leave the showing to your Real Estate Professional. Prior to shopping for your new home, be smart and get a pre-approval letter from your bank and financial institution. This means you will have your financial matters in place and that you are serious about making an offer.